Who thinks tracing numbers 1-20 is fun? Kids! Who thinks writing numbers 1-20 is an essential skill? Teachers! 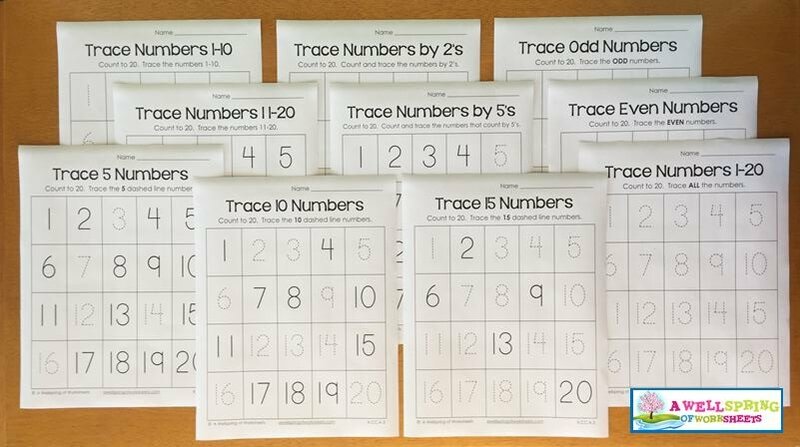 That’s what this set of Tracing Numbers 1-20 worksheets is all about – combining kids natural enthusiasm for learning with a teacher’s need to teach basic skills about numbers 1-20. You can find all the resources in this blog here, or you can click on any image or link in this post and you will be taken to the page with these resources. 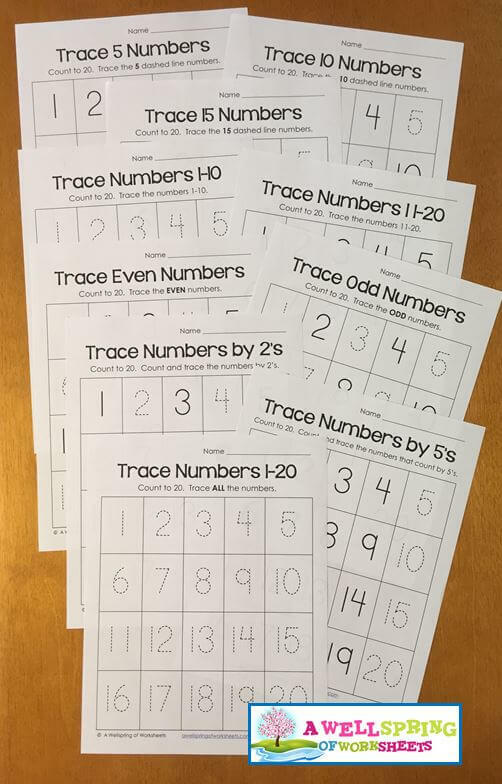 Tracing Numbers 1-20 Worksheets Have a New Look! Though these worksheets were popular before, I’ve given them a new, updated look. The logo is gone, the titles are bigger, and the numbers are larger and more streamlined (the serifs on the 1s were removed and the 9s are a more standard version). Kids will still trace numbers 1-20 on dashed lines in a table of four rows with five numbers each. In comparison to other number tracing worksheets you might see, these worksheets are clip art free, but still have an upbeat vibe to them. Not that clip art is bad, mind you (I personally love to use clip art! ), but these provide a refreshingly clean, distraction-free look that will hopefully keep your kid’s little minds focused. Plus, they’re great for assessments! If we look at the bigger picture, all the numbers we have are 0-9. If kids learn to trace and write these numbers well, they’ll be able to write any combination of numbers – 12, 86, 94, 153, or 2,897 for example. So these are just a baby step to that end, a starting point of tracing numbers 1-20. These number tracing pages also provide lots of practice for number formation and a carefulness in writing numbers. One thing to note is that they don’t have starting dots with arrows and small numbers showing kids how to write the numbers. It’s assumed you’ll have already taught your kids how to correctly write the numbers 1-20. 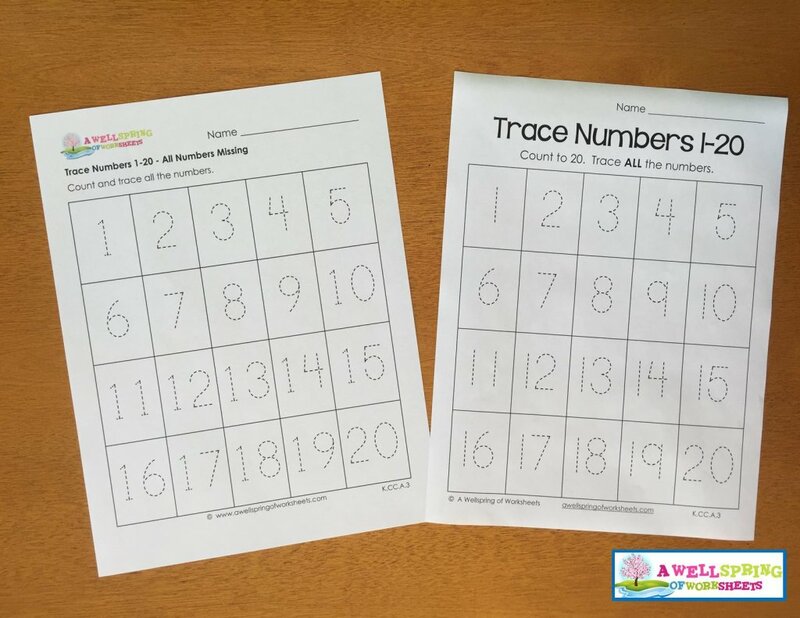 These tracing numbers 1-20 worksheets have the benefit of having all the numbers 1-20 written on every page. 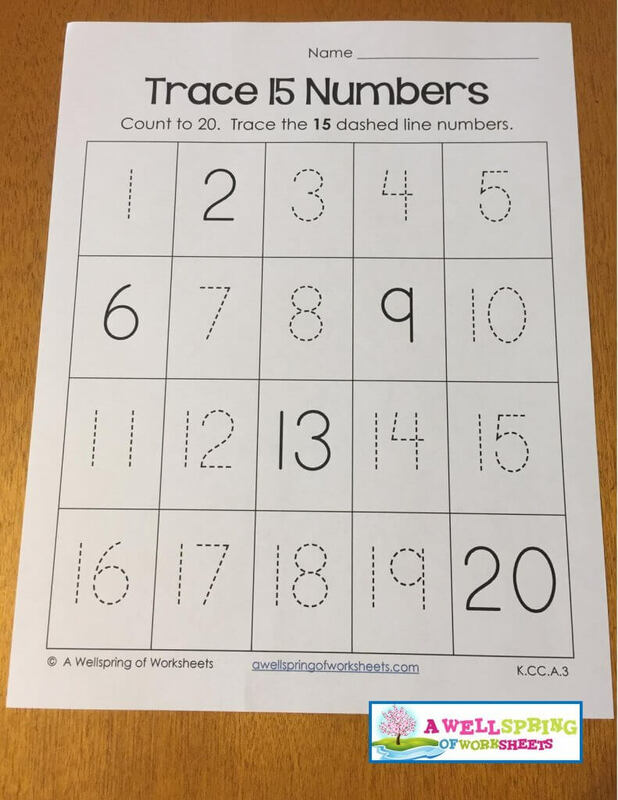 So why wouldn’t you take the opportunity to have your kids count numbers 1-20 every time they used one of these worksheets? Actually, that’s what they’re supposed to do! It’s part of the directions. Have your kids count before they trace the numbers, after they trace the numbers, while they trace the numbers, or all of the above! Saying the numbers and saying them in the right order is vastly different. Having kids repeat the numbers in the correct order is paramount. 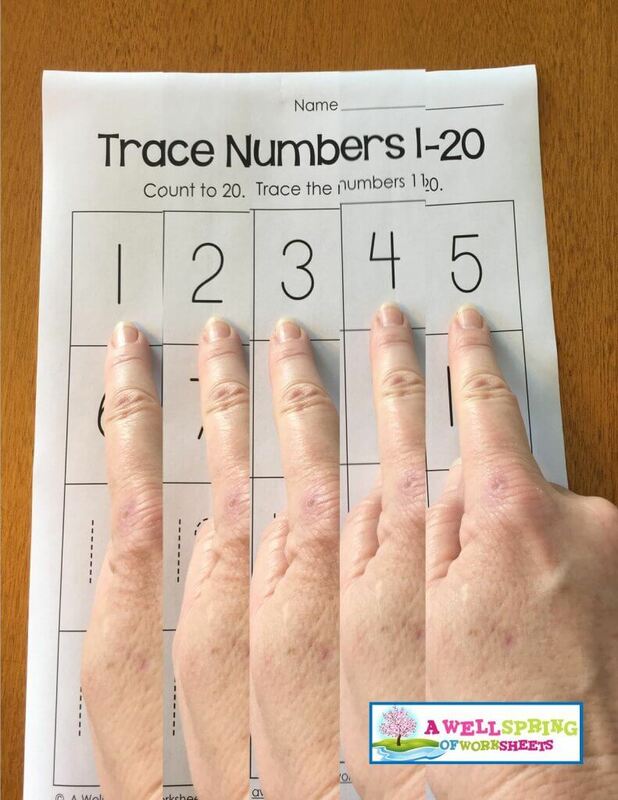 These tracing numbers 1-20 worksheets also introduce kids to the concepts of counting 1 from 1-10 and counting from 11-20. Also addressed are the concepts of even and odd numbers. 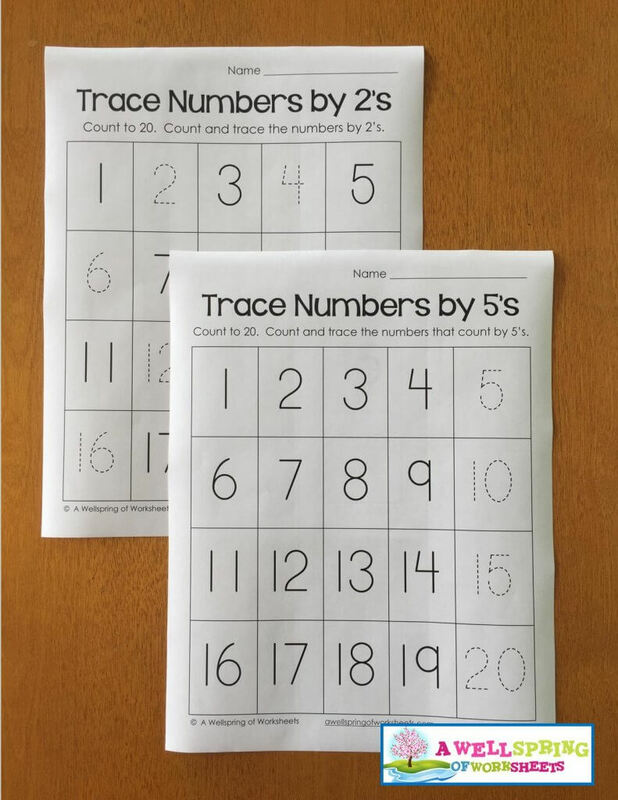 You will also find number tracing worksheets for counting by 2s and counting by 5s. We all want every child to succeed, but let’s face it, we know all kids don’t acquire the same skills at the same rate. 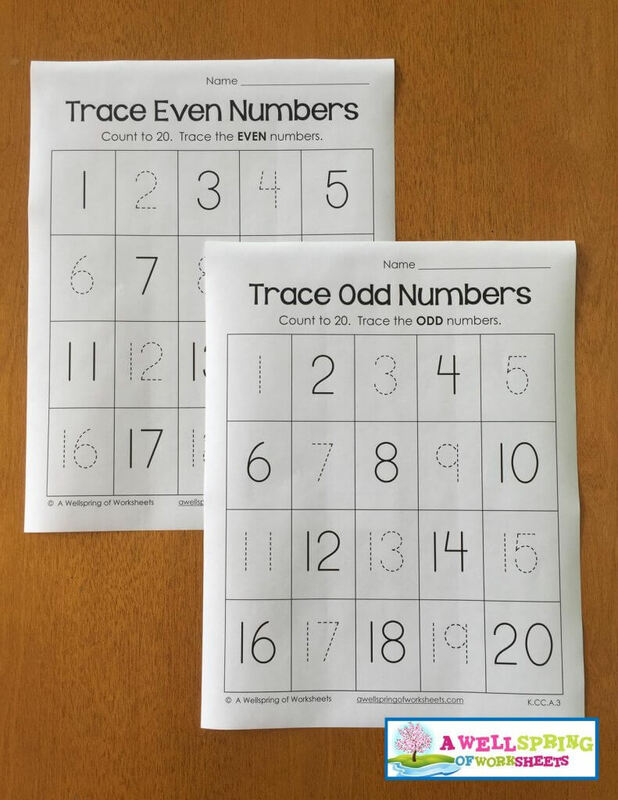 These tracing numbers 1-20 worksheets were created with this in mind. 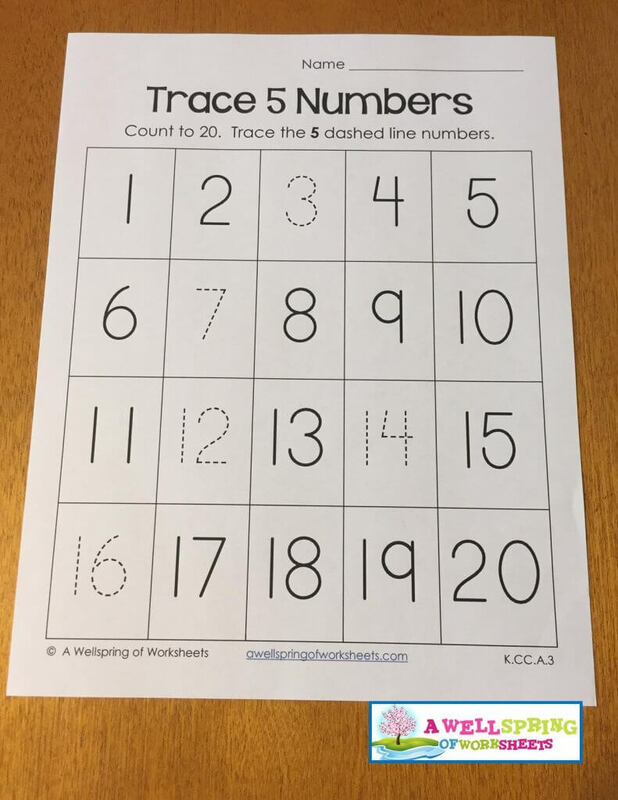 You can use the different worksheets (Trace 5 Numbers, Trace 15 Numbers, for example) for kids of different skill levels. The goal is for every child to be able to eventually write all the numbers 1-20 neatly and accurately (no backward numbers!). 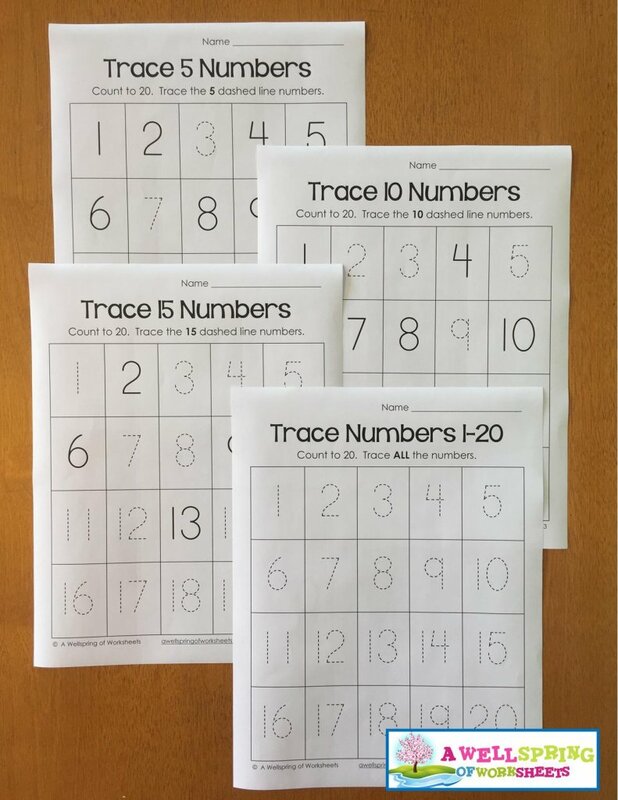 You can use these number tracing worksheets as assessments to test what their skill levels are. 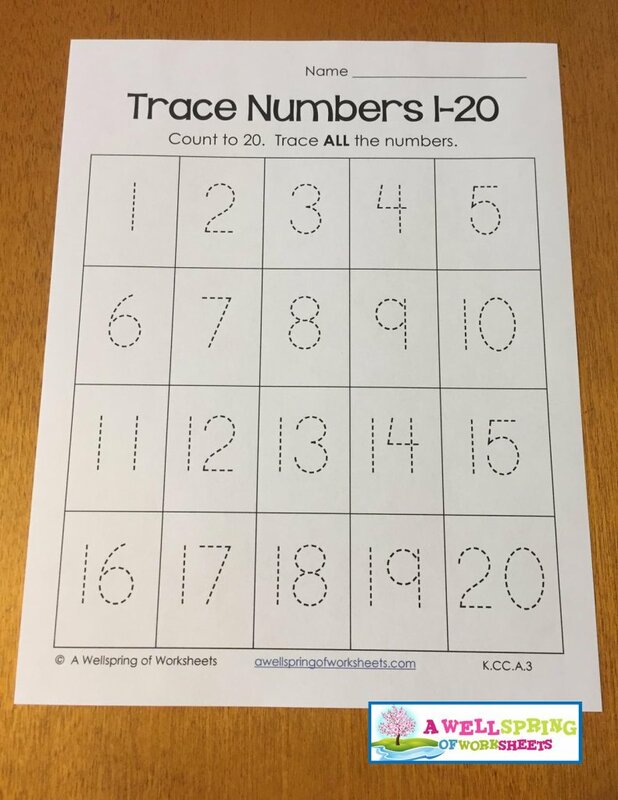 I think the Trace Numbers 1-20 worksheet would be the best one for assessments. Have your kids trace the numbers each term and save the worksheet so you, the child and the parents can see the improvements over the course of the year. Assessments are great, and just using everyday pencils are necessary, but a little bit boring. 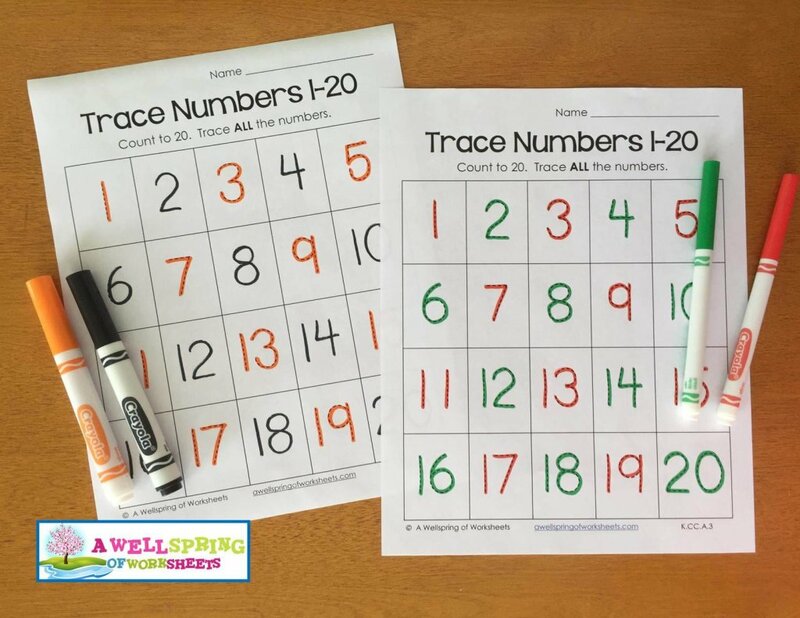 You can have some fun with these number tracing worksheets, too. Here are a few suggestions for jazzing things up a bit. Yes, this is picking it up a notch. Maybe just one notch. 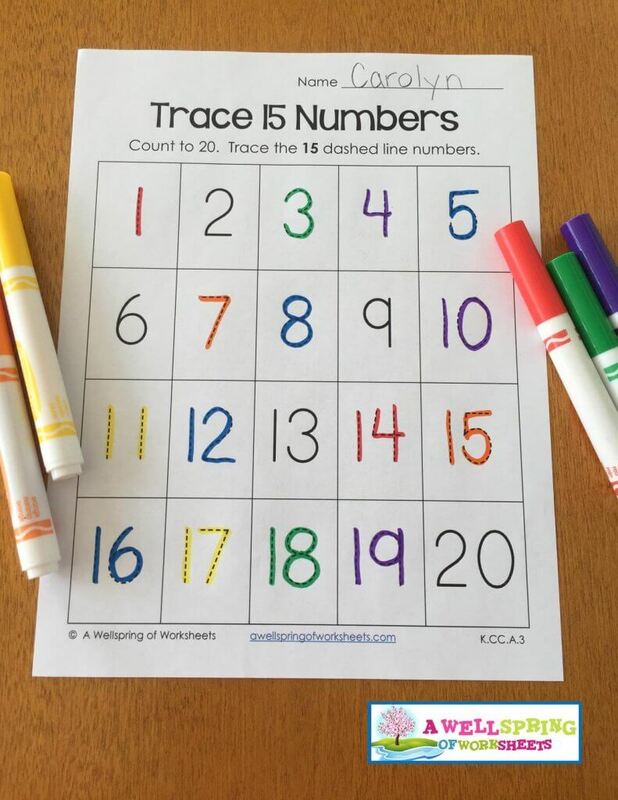 Have kids trace each number once in one color. 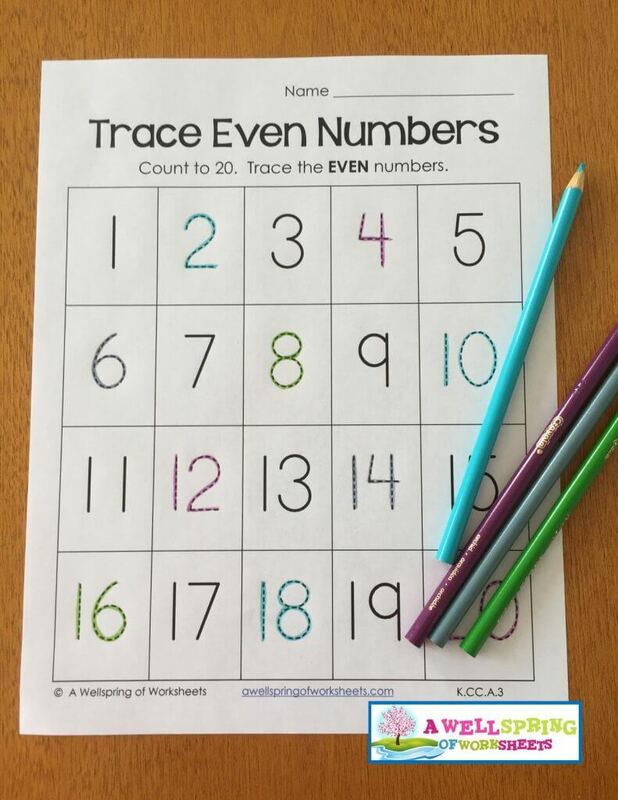 Use the same color or go totally crazy and trace all the numbers in a different color! Trace the Numbers in Crayons – Try Some Wacky & Wild Crayons Like These! This is picking things up about one notch, too. Instead of regular pencils, trace the numbers in color pencils. As mentioned above, use the same colored pencil, or go crazy and trace them one time each using several different colors. Trace the Numbers in Colored Pencils! Trace the Numbers in Markers, Gel Pens, You Name It! Now these are double or triple notches up! Whatever resources you have available that’ll tickle your kid’s fancy, take advantage of it! 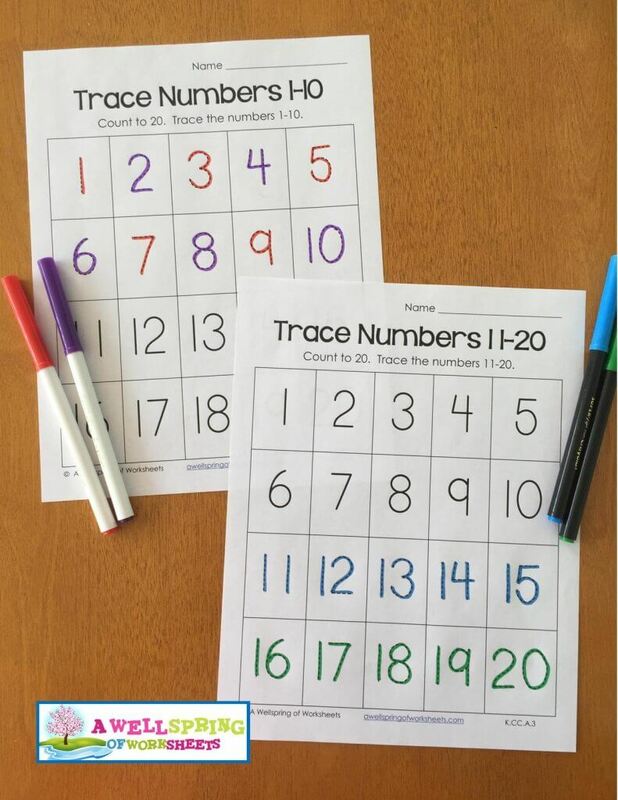 Number Tracing in Markers, Gel Pens, You Name It! Hey! Is it Christmas time? or Halloween? Have your kids trace the numbers in whatever color medium you choose alternating red and green or black and orange. Not a holiday? 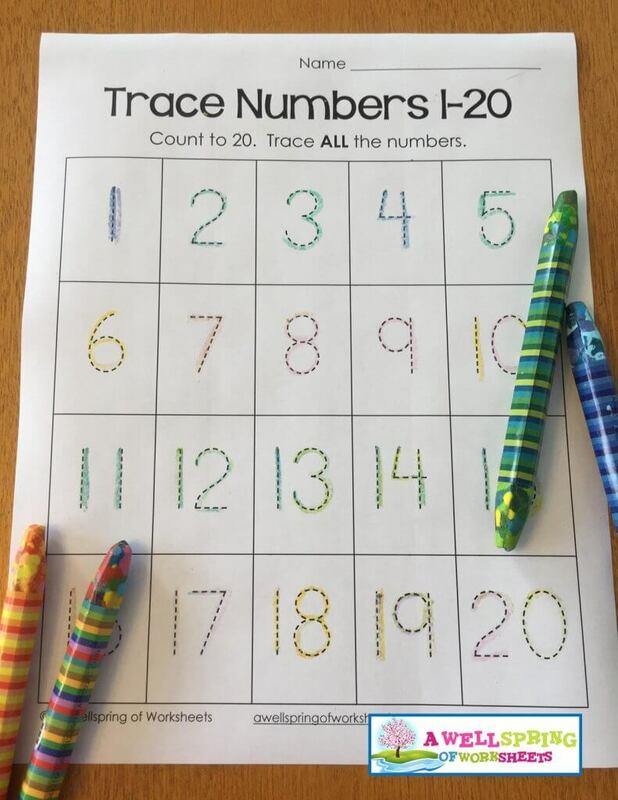 Have your kids trace the numbers in a pattern in what ever colors they want (I wouldn’t go more than 2 or 3 colors, but you know your kids – maybe they can do five different colors!). Need to fill a little more time? Have your kids trace all the numbers that need to be traced in rainbow colors – first red, then orange, then green, etc. 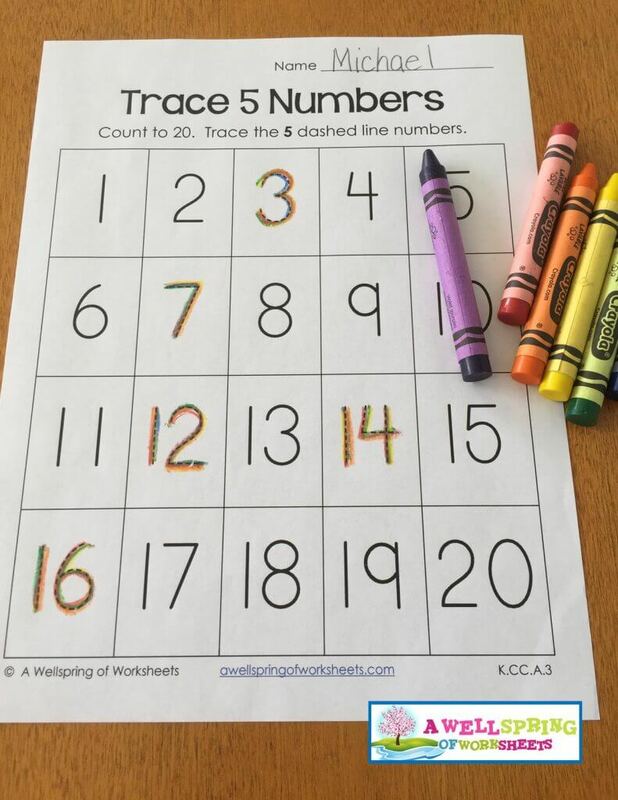 Trace the Numbers in Rainbow Colors! 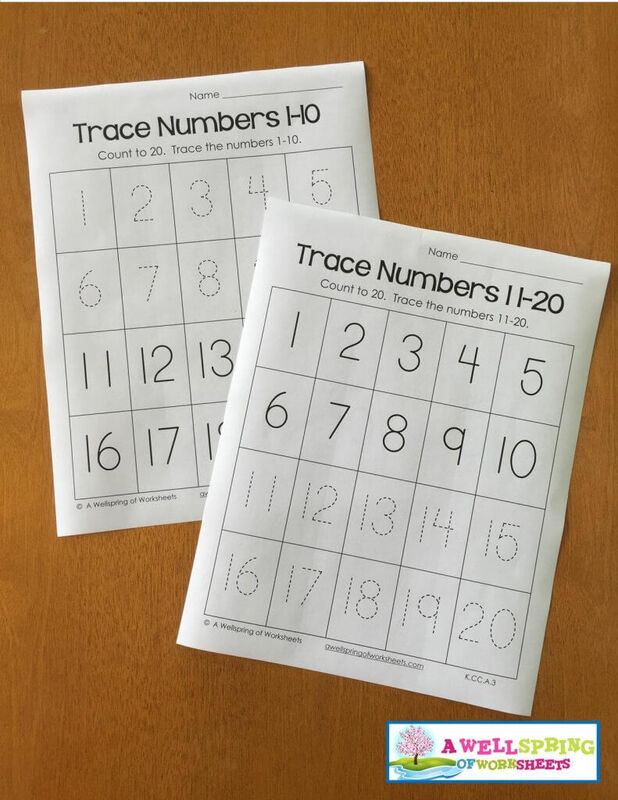 I hope you find these tracing numbers 1-20 worksheets beneficial!